The next VIscovery event for visitors who are partially sighted or blind will be engineering themed and take place on Saturday 15 September 2018. To receive more information about this event, email Family Programmes or call 0207 942 4086. Have you been told you’ve got your head in the clouds? Join us on a high-flying adventure to find out how humans have tried to fly in this fun interactive storytelling. Then get creative and design your very own paper aeroplane. Uncover the marvels of engineering through the ages in our exciting live show. Discover how some amazing inventions have changed our everyday lives and what’s in store for the future. On your marks, get set, build! 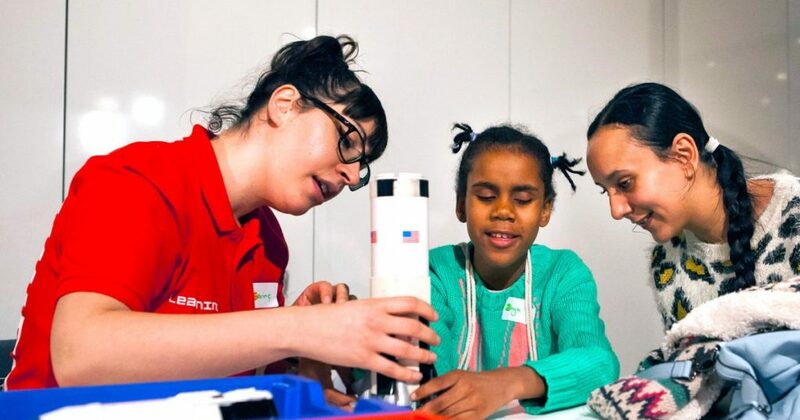 In this workshop, you’ll create your own motorised machine that will wiggle its way around. You’re in for a bumpy ride! Join the RNIB, the UK’s leading sight loss charity, for a hands-on and interactive session as they share some exciting innovations with you. Learn more about one of the world’s first fully accessible TVs, try out some amazing devices and discover why the new £10 note is so impressive. Learn more at the RNIB website.